In a large bowl mix the ricotta, icing sugar and caster sugar together until smooth. Add the fruit zest and juice and the lemon curd. In a small pan melt the butter. Add the biscuit crumbs to the butter. Spoon over the citrus creme. Put in the fridge for a couple of hours. When the tarts are needed, turn them out on to a plate and garnish with some fresh berries. I thought this up this afternoon when I found a tub of ricotta in the fridge! 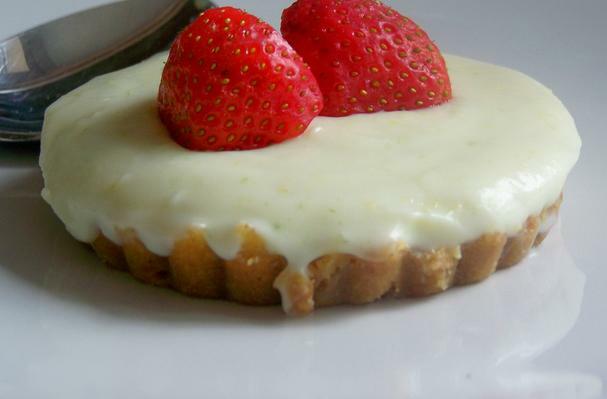 Even though it is light, it is quite sweet so is best served with some fresh fruit i.e strawberries or raspberries to cut through the sweetness.